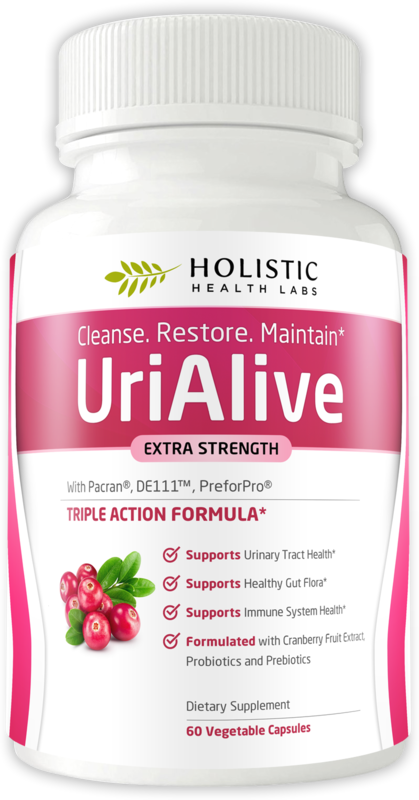 Protect Your Urinary Tract From Bacterial Infection, Inflammation and Pain with High Quality Ingredients. "I’m only 35 and have been dealing with chronic UTIs and bladder infections for as long as I could remember, so urinary health is on my radar. I have been tested for many different things and nothing seems to be wrong. My doctor always prescribes antibiotics and I end up with a yeast infection and then the UTI returns. 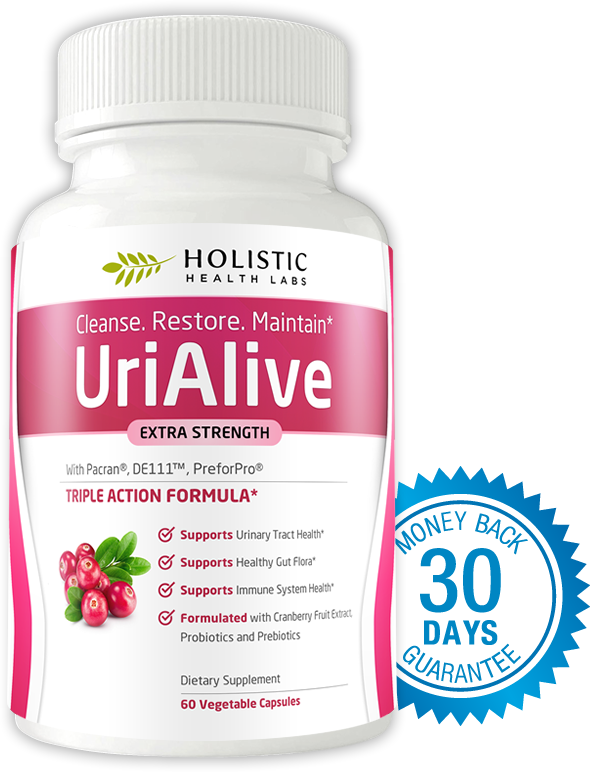 Since starting Uri Alive, I have not only been UTI free, but I have not taken a single antibiotic. I have not changed anything else in my life, this is 100% from Uri Alive. This product keeps me on track and I don’t have to take 3 different supplements to do it! Very happy with the results." Defend your urinary tract from E. Coli bacteria. 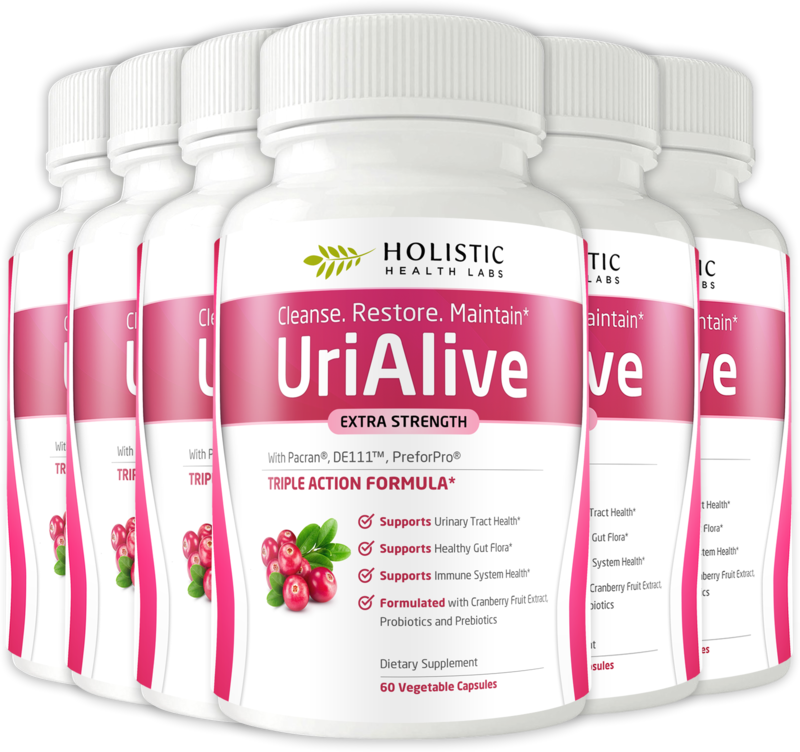 Cleanse, restore and maintain a good healthy urinary tract. 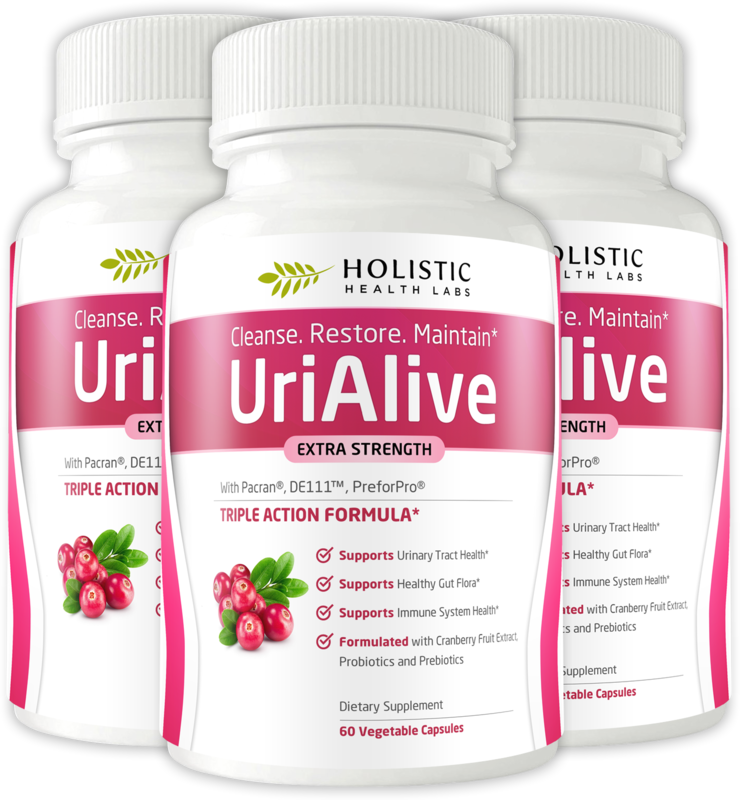 Simply take 2 capsules of UriAlive with meals to experience total protection.